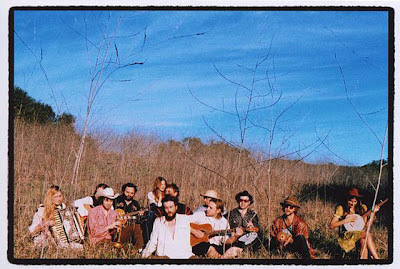 There's an awful lot I love about Edward Sharpe and the Magnetic Zeros. Their music is on regular rotation in my studio and at home (and on my BlackBerry's Pandora app). I also adore their carefree, neo-boho style, both in the way they dress and in the incredibly artistic way they "market" themselves. I find the whole package to be upbeat, ethereal, and refreshing. Can't wait to see them live again this weekend at the Congress here in Chicago. i should send you an interview my friend with them during jazzfest. he was just hanging out with them and pulled out the video camera. its very entertaining!